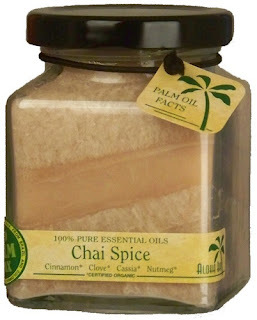 Living a Fit and Full Life: Aloha Bay Candles and Bath Salts Review and October Specials! 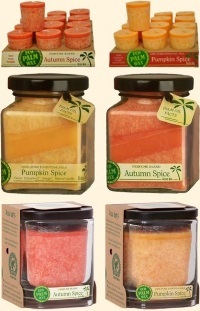 Aloha Bay Candles and Bath Salts Review and October Specials! In 1993, Aloha Bay opened their first candle factory in Lower Lake, California. At this 10,000 square foot factory, Aloha Bay's staff first began crafting candles for the gift market and now the natural health market. Bart Burger, Aloha Bay's CEO, has developed a system for candle making that depends on employing as many human hands as possible, rather than relying on fully automated factory systems. This increases the employment rate and makes a significant contribution to living in the lovely, small town of Lower Lake, California. Aloha Bay has avoided buying palm wax from Indonesian companies which, with their aggressive expansion, threaten parts of the rainforests of Borneo and Sumatra and other islands. Ideally, Aloha Bay would like to use the palm oil coming from small, traditional plantations, which have existed around villages for many decades. Unfortunately, up until now, the oil refineries have shown no interest in treating this "eco"-oil with the respect it deserves and have mixed it in with the oils from the big producers. Aloha Bay's solution has been to import the palm wax from well known, environmentally responsible plantations in Malaysia and, in smaller amounts, from certified organic plantations in Brazil and now Colombia. REACH is the European Community regulation on chemicals and their safe use that deals with the Registration, Evaluation, Authorization, and Restriction of Chemical substances. Aloha Bay's vegetable candle dyes are 100% REACH Compliant. The dyes' shade, consistency, stability and strengths are just as intense, crisp, clear and bright as aniline candle dyes. (Aniline dyes are oil soluble dyes used to dye most candles.) REACH dyes contain none of the 26 listed prohibited aryl amines; no aromatic solvents like toluene, hexane, benzene, and naphtha, phthalates and no petrochemical additives. These dyes are made from plants and minerals in a vegetable based solvent oil with no petroleum solvents and have excellent solubility in all waxes. Aloha Bay is able to use less dye (as little as 0.0125%) to achieve intense and bright colors and also add higher concentrations of pure essential blends. All Aloha Bay's candle ingredients are FDA approved for food contact. All pertinent health and safety information has been provided per the US Code of Federal Regulations. In compliance with the United States Clean Air Act, Aloha Bay candles do not cause any hazardous air pollutants or fumes nor contain ingredients listed as hazardous substances or pollutants. In addition, none of Aloha Bay's ingredients are tested on animals. Aloha Bay recommend everyone be just as selective about what they inhale as what they eat. 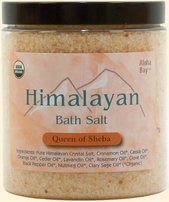 Aloha Bay started importing Himalayan Salt products from Pakistan in 2004. They work exclusively with a small, family owned company in Mirpur, close to the Himalayan foothills. The owner/manager of that factory, Tariq Khokhar operated the first true decorative and edible salt “factory” there in 2003. Eco Palm Wax™ with organic Palm Wax from South America. 100% Pure Essential Oils. Essential Oils marked with an asterisk (*) are certified organic. Six ounces each. Burn time is 40 hrs. Cotton wick for clean and steady burn. Click on photos to enlarge. Aloha Bay Candles smell amazing! 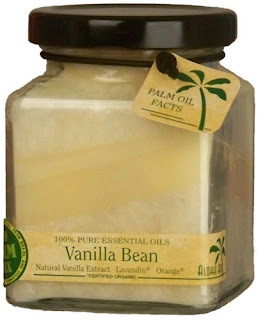 I love that they're made with palm wax and 100% pure essential oils. I used to use candles all the time but stopped because I became sensitive to the artificial fragrances in many so I'm thrilled to have found all natural candles! These candles burn steady and slowly so they last for a long time and are sure to fill your house with wonderful scents. Click HERE to purchase and check out a few other scents! 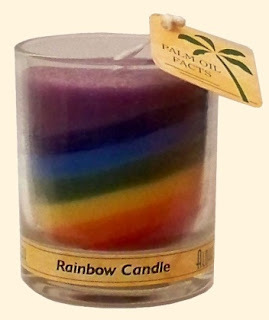 Aloha Bay's Rainbow Candles are so pretty! They last a long time and are so fun to watch the colors come together. They're made with palm oil and burn steadily so you're sure to have plenty of time to enjoy them! Beeswax candles are available in four varieties. Choose from single tapers, votives, tea lights and hand dipped taper pairs. In addition, we present hand dipped taper pairs with our beautiful hand painted palm wax drapes. 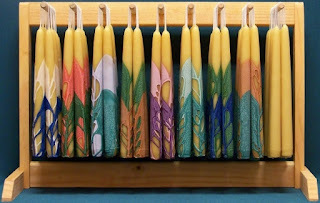 Aloha Bay's Beeswax Tapers are beautiful! I love that they are hand dipped because it makes each one unique and stunning in it's own way! They look great in any room and I love how artistic and decorative they are! They burn slowly and evenly if you can bring yourself to burn these beauties. 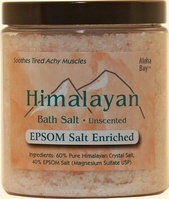 Aloha Bay's Himalayan Bath Salts are Terrific! I'm a huge fan of bath salts and all they do. As a runner I love that they work to soothe tired sore muscles and help me recover quicker so I can move on to my next run. Aloha Bay has a wide variety of Himalayan bath salts that come in varying scents and contain a variety of essential oils. Free shipping is available on all orders over $50 and applies only to UPS Ground shipments going to the 48 contiguous states (the lower forty-eight). Click HERE to sign up for Aloha Bay's newsletter for special discounts and all the latest news from Aloha Bay! Follow Aloha Bay on social media! Autumn Spice and Pumpkin Spice are two of our most popular, top selling scents for the Fall season which includes the Halloween and Thanksgiving Day holidays. Autumn Spice, a perfume blend scent with essential oils, has a spicy warm, ginger bread cookie rich scent with nutmeg, cinnamon, and brown sugar. 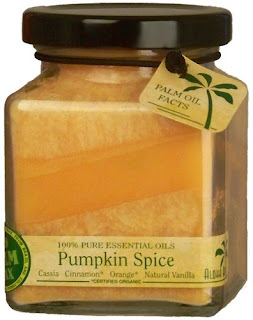 Pumpkin Spice, scented with the 100% pure essential oils of Cassia, Cinnamon, Orange, and Vanilla, is a natural scent vacuum distilled directly from the botanical extracts of fruits, nuts, bark, leaf, and essential oils. 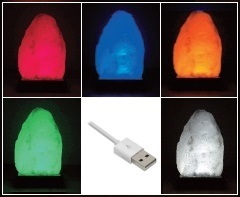 Color Changing Salt Lamps - This new lamp is a hand carved white Himalayan crystal stone which sits atop a USB powered black base. The base contains ultra-bright LED bulbs in five colors that light up one after the other, to create the effect of gradually changing colors. A pause button on the base allows you to stop on a favorite color to match your mood or environment. The included five foot USB cord allows for easy positioning and many options for placement. Lamp is four inches tall and packaged in a recyclable gift box. "Feng Shui" and "Chakra" crystals - The "Feng Shui" salt crystal is Halite. 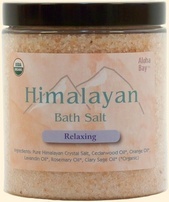 It is an ultra-clear salt crystal from the Himalayan mountains. This rare salt structure is almost perfectly transparent. The "Chakra" Crystal is Selenite which is literally defined as "stone of the moon". These crystals are mined at the rim of the Sahara desert. The "Chakra" crystal's milky white structure lights up beautifully. Each four inch crystal comes with a black base which contains glowing lights in five colors (ultra-bright LEDs) that light up one after the other, to create the effect of gradually changing colors. Also included are AAA batteries and a power adapter. 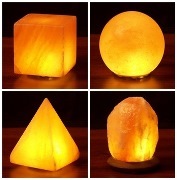 USB Salt Lamps - These USB lamps are beautifully hand-carved from blocks of raw Himalayan salt crystal into a natural style or the geometric forms of planet, cube, or pyramid shaped lamps. As it is a natural product, each lamp somewhat varies in size. In addition, different color patterns and variations are seen, according to where the salt was mined. Lamps are available in pink salt or white salt. They work as negative ion generators that refresh the air and help neutralize the Electro Magnetic Fields (EMFs) generated by your computer. These USB lamps plug into your laptop, desktop computer or any device with a USB outlet. The 5 foot long cord allows many options for placement. Each features an energy-sipping, ultra-bright LED bulb which is good for about 20,000 hours of use and saves energy as each USB salt lamp uses 30 times less electricity compared to regular salt lamps.